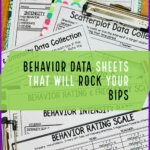 I talked in previous posts about stimulus prompts in which we change what we present to the student to help him get the correct answer and get the reinforcer. It’s important to recognize that prompting and reinforcement are the elements of instruction that make it different than testing. Just asking a student to do something and seeing if he does it is testing. Even asking him to do something, seeing him do it correctly and reinforcing him is only going to go so far. If we are teaching a skill from scratch (i.e., the student doesn’t ever exhibit it at the right time) then if we simply wait for him to display the behavior so we can reinforce it, we are going to be waiting a long time and learning is not going to be at all efficient. Prompting is the way to speed things up. Probably the most common type of prompt that we use is response prompts where we do something at the same time or after we give the direction or discriminative stimulus to spark the correct response from the student. 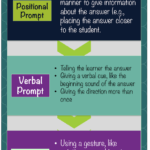 Often this involves a gesture, a physical prompt, or a verbal prompt–see the infographic about different types of prompts HERE. To be effective with response prompts, we have to make sure we fade them out. There are several strategies that can be used for fading. It’s important to decide which strategy you are going to be using and make sure everyone working with the student on that skill are aware of that decision. Visuals for adults (see the freebie below) can be helpful reminders. What is Least-to-Most Prompt Fading? This is probably the one most of us are familiar with. This type of prompting requires us to use the least intrusive prompt first and wait. If that doesn’t work, then we move up the intrusiveness scale. So, for instance, if I’m teaching Sally to match 2 pictures of a shoe, I would lay out the set of pictures on the table including a picture of a shoe and hand her a picture of a shoe. If after a set amount of time (e.g., a count of 3) she didn’t match it, I would point to the picture of the shoe. If she didn’t match them at that point, I would physically guide her hand to the picture of the shoe and see if she could complete the action (partial physical prompt). If she didn’t complete the action, I would provide a full physical prompt. For each trial, I would use this system. It gives the student every opportunity to be as independent as possible. Each time you are presenting a task, you are providing a chance for the student to complete it independently. 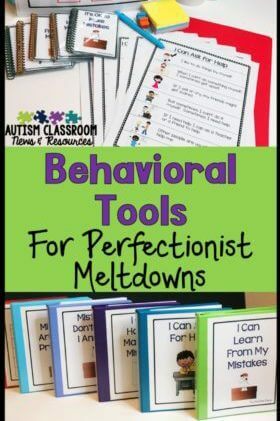 It’s probably the most intuitive way of prompting….we tend to try to let the student be as independent as possible (or at least we should be) which means we are often likely to try the least help first, which this type of fading does. Because you are giving limited help to start, sometimes the student makes errors before we have to chance to provide the next level of prompting. If we aren’t careful we run the risk of correcting the error rather than prompting and many of our learners will incorporate the error into their learning. Ever had a kid who scrolled through a bunch of actions when you give a direction? That faulty learning can sometimes be related to ineffective use of least to most prompting. This type of prompting is also very time consuming because for each step or skill or trial, we have to wait for an independent response, then wait after a least intrusive prompt, then wait for a more intrusive prompt….and the sequence continues depending on how many prompts you are using. This can take a long time and sometimes isn’t very efficient for the learner. 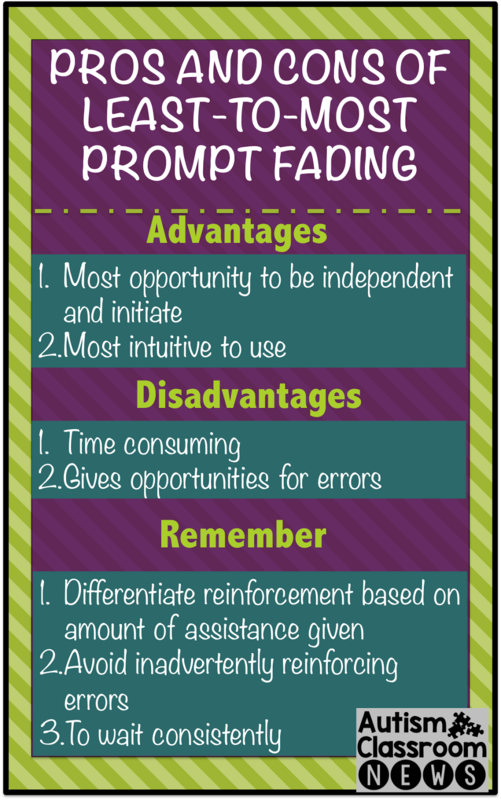 There is some research that indicates that other types of prompting can be more efficient. This also sometimes leads to learners becoming dependent on prompts because it’s easier to wait for you to prompt them than to initiate the action on their own. You must reinforce more independence with a bigger or more of a reinforcer. We’ll talk about this more when we get to reinforcement in this series, but if we reinforced completing a task with a partial physical prompt at the same level that we reinforce the response that was completed independently, if our reinforcers are truly reinforcers then both of the responses will increase at the same rate and most likely the most efficient or the easiest response (the prompted response) will win out. 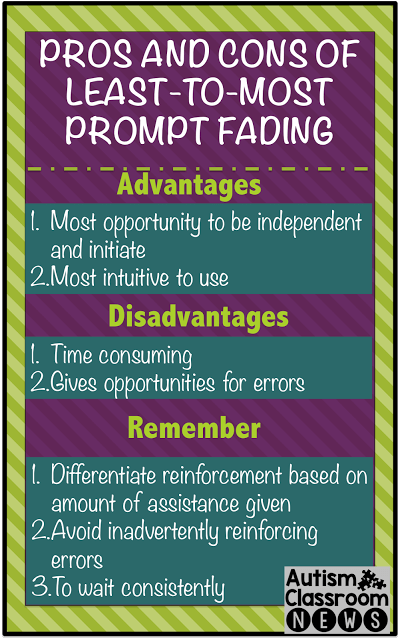 Using reinforcement effectively is crucial for fading prompts out. You want to avoid giving a prompt that incorporates an errors into the chained response. Be careful that if the student starts to give the wrong answer, you don’t use the prompt to correct it. Instead, end the trial and start over or follow whatever procedure you have been trained to use and is being used in your program. Finally, it’s critical in using least to most prompting that you wait between each prompt. Failing to wait for the specified time period means that you will not be giving the opportunity for more independence. How long the waiting period should be differs in programs and by student, but make sure that everyone implementing the program is consistent. Then I usually count to myself to help keep it consistent. So those are some thoughts about one type of prompt fading. We often use least to most prompting when we teach independent work systems and using visual schedules. 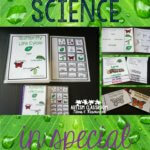 If you are interested in a free visual cue for the adults to remind them of how to teach it, check out the freebie IN THIS POST. And finally if you are interested in a downloadable, printable poster of the types of prompts infographic I shared in a previous post, you can DOWNLOAD IT HERE. I’ll be back soon with another way to fade out prompts in instruction. Until then, please share any tips or struggles you have with fading prompts in the comments so we can all benefit!